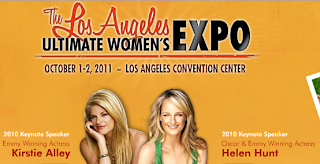 Thrive Sisters will be representing Shelf Reliance and Thrive Foods at the Los Angeles Ultimate Women’s Expo October 1st and 2nd. 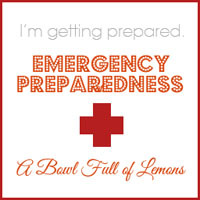 You will be able to find us teaching about Thrive Foods, building your "Own Home Grocery Store" and all the wonderful Shelf Reliance shelving and emergency supplies at the Los Angeles Convention Center. Drop by booth 1520 to see what tasty items we will be sharing. There will be so much to see & do at this wonderful event. Come and join us in the fun! The most talented chefs in Los Angeles showcase their culinary talents with easy recipes for the Holidays and everyday--from flambé to sauté, and deserts to elegant main dishes. Enjoy a luxurious complimentary massage inside the Rejuvenation Tea Garden surrounded by luxurious waterfalls, trees and a gorgeous garden setting. Enjoy an array of complimentary makeovers and facials while you learn more about the best cosmetics, skin care, makeup, beauty products and tips to accentuate your own personal style. Sample the best in martini’s at the Martini Tasting Bar while you enjoy a fresh nail polishing from skilled nail technicians. Celebrate Fall fashion and the latest trends with a vibrant high fashion runway show featuring a mix of accessible and luxurious styles. Sit back, relax, and learn home décor and decorating tips to propel your entertaining style just in time for the Holiday entertaining season. Sit back and relax as you transform your appearance with a new complimentary haircut designed to showcase the best you. We’ve gathered the most respected experts in finance, healthcare, career development, personal growth, style, beauty and home design and décor to educate and inspire. Meet us there an mention your read about it on our blog and receive a free gift from us! The more we can save money, feed our families nutritious food, prepare ourselves and our friends and neighbors the better off we ALL are.